shagileo made a new ET-Song with Seawall Battery as scenario that tells us the story of allied soldiers disabling the Siegfried cannon. Really worth to listen to it. New stuff for mappers from paZur Mapping. 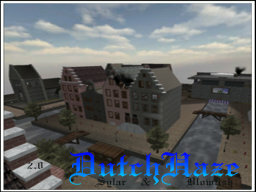 Screenshots and ReadMe is included into the download file. This is the B-25 from Natterbase. He included the source .max files as well. You will notice that the bomb and the fire have animation. You might use that for scripting. The Ba 349 Natter itself from his map Natterbase. Just drop in a misc_model. This simple white shader in the lamp emits light. The glow has an autosprite parameter. 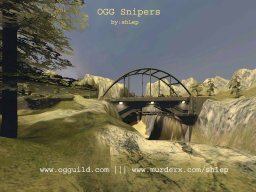 Rewrite of the Goldrush sky shader using Penumbra shadows and foghull fog. 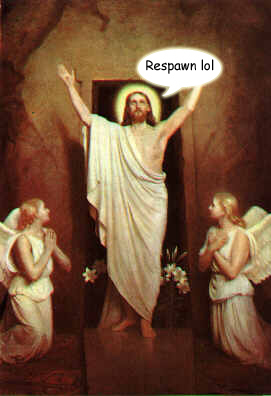 You need to add several keys in worldspawn to make it work properly. This shader requires a target_smoke entity. 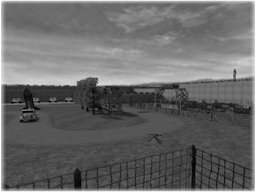 The team of cidelcorp.fr made a small tool to decompile maps from ET, RtCW & Q3. It has a function to clarify the result after the decompilation. The program is in english and french. 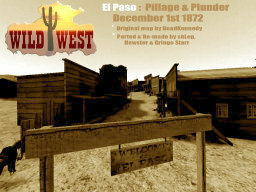 In response to the recent lynching of Gen. Jesus Montoya, the Bandits are set to raid the town of El Paso. Will the cowboys be able to defend their town in time? We wish all our visitors a happy easter with their family! Wir w�nschen all unseren Besuchern ein frohes Osterfest im kreise ihrer Familie! Cfg Valid made by cidelcorp.fr is a software written in vb.net (frameworks 2.0). This software checks the directory of your choice (can be a hard drive) from .cfg files. Then it reports if .cfg files are correct or not. Cfg Valid shows you results by config. The previous version was an unfinished version for testing. This is the real 2nd version. 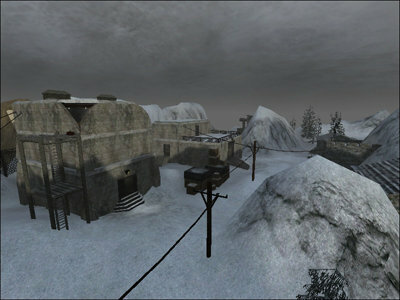 An unlikely yet choice location for snipers to duel it out. GL and HF! Juu, a music producing hobbyist and ex-gabber DJ made two techno tracks that use the W:ET sound files. It's time to take the Strogg on in the one place they feel safe. Space. We have there is a fleet of Strogg ships in Earths orbit for some time. So an order has been given to load up a cruiser with the best campers on the planet and head for the space orbiting Anansi flight deck. Destroy the five key parts of the Strogg mothership. While at the same time avoiding destruction from flying asteroids. Machinimas regarding to W:ET made by Nudels. It's really worth to watch them all at YouTube. Wolfenstein creative director Eric Biessman has told VG247 that Wolfenstein isn't just another WWII shooter. 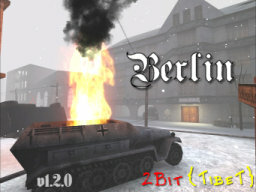 In fact, according to the developer, it's not a WWII game at all. We said: "Why should we be excited? This is just another 'spooky' WWII FPS, right?" Eric said: "There's a lot to be excited about in Wolfenstein! 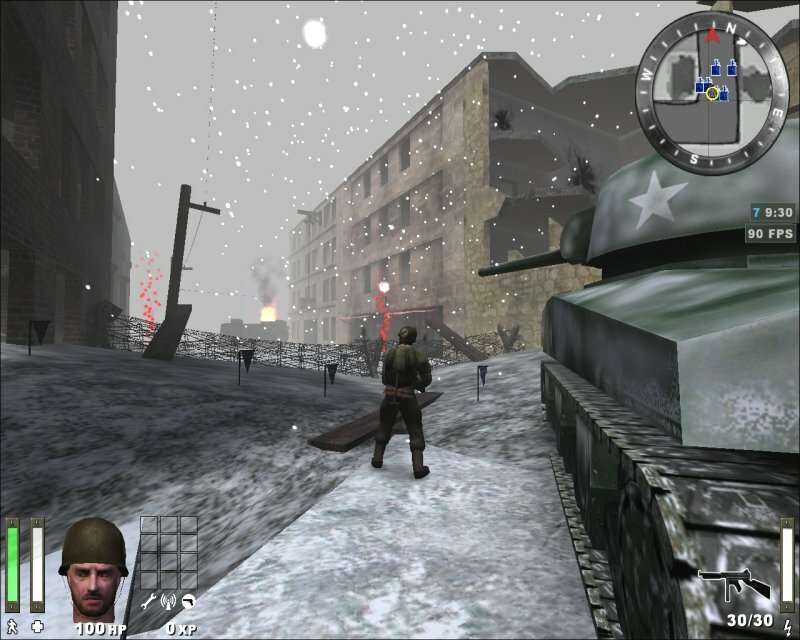 The core gameplay of Wolfenstein is based on fast-action, visceral combat and heavy-duty firepower. Looking deeper at the game, you see that it's set in a very compelling universe. While the game is set in WWII, it's not a WWII game - that's like saying the Indiana Jones movies are WWII movies." "Dark science and strange occult mysteries combine to create larger than life characters, weaponry and enemies. This also lets us stray outside the realm of reality to create compelling game play - we don't have to have realistic enemies and weapons, we can do things just for the sake of being fun and exciting. It really opened a lot of creative doors for us." "When we started development of the game we asked ourselves, 'What if?' What if the Nazis had access to an unlimited power source? What if the Nazis could create beam weapons? What if the Nazis could create suits of powered armour? 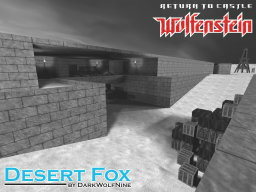 It was pretty cool to imagine the possibilities and see them come to life in Wolfenstein." Brink back in action the Gouvernator with this skinpack made by thunderpwn. Not only the playerskins are changed, also changed the design of a few weapons and sounds. The Allies must destroy the axis rockets. Axis have to defend their rockets. whoosaaa converted the mapping sites of 2bit, paZur and Haradirki into PDF form to save the tutorials so that you can read them offline. Bereits schlossen sich namhafte Seiten wie only4noob.de an und �berreichten der neuen Seite ihren ganzen Inhalt. After learning about Ziff Davis Media's plan to shut down FileFront at the end of March, the original founders of FileFront made the decision to buy it back from Ziff Davis Media. After the embarrassing defeat in the outer regions of Wolken, Axis forces plan to attack and Allied controlled area where Axis intelligence have indicated that Allied forces have gathered information about how to get out of Wolken and return home. The Axis are planning to steal the documents from the Allied controlled region of Wolken and escape with these documents by any means possible. Bayerns Innenminister Joachim Herrmann (CSU) hat in einer Pressemitteilung die Spielebranche auf eine Stufe mit Kindersch�ndern und Drogendealern gestellt. Horst Seehofer, Ministerpr�sident des Freistaates Bayern und Vorsitzender der CSU, blieb zudem der Preisverleihung des Deutschen Computerspielpreises 2008 fern. 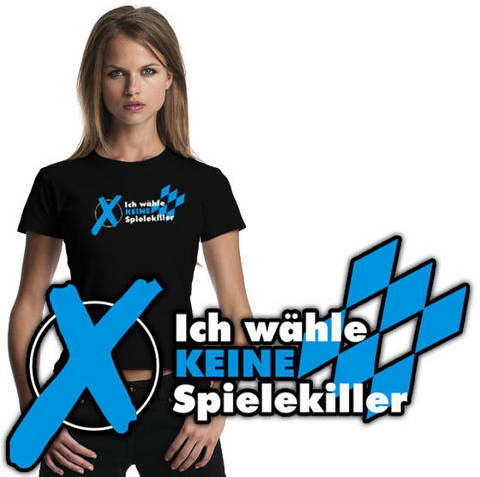 "Ich fordere die Computerspielbranche auf, den sch�nen Worten endlich Taten folgen zu lassen und auf Herstellung und Vertrieb von Killerspielen in Deutschland freiwillig zu verzichten." 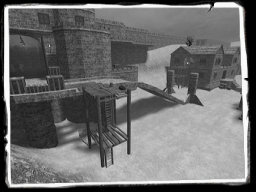 "Killerspiele geh�ren bislang zu den intensiv beworbenen Hauptumsatztr�gern der Branche. Mit derartiger T�tungstrainingssoftware, die zum Beispiel von der US-Army zur Vorbereitung von Soldaten auf Kampfeins�tze verwendet wird, d�rfen in Deutschland keine Gesch�fte mehr gemacht werden." "[...] der andauernde Konsum derartiger Spiele, in denen Gewalt und Brutalit�t anders als bei Filmen aktiv ausge�bt und gesteuert wird, die Gewaltbereitschaft f�rdert und die F�higkeit, Mitleid zu empfinden, verk�mmern l�sst." These trailers share a tiny bit of footage with the official trailer, but they're primarily full of completely new gameplay footage. This is a shortened version of Free Spirit City. It has had the MCP and bunker objectives removed so you are left with the hack the shield generator objective and the destroy the temporal generator objective. This version has a 8k only megatexture and some other memory hogs like the siren are removed. 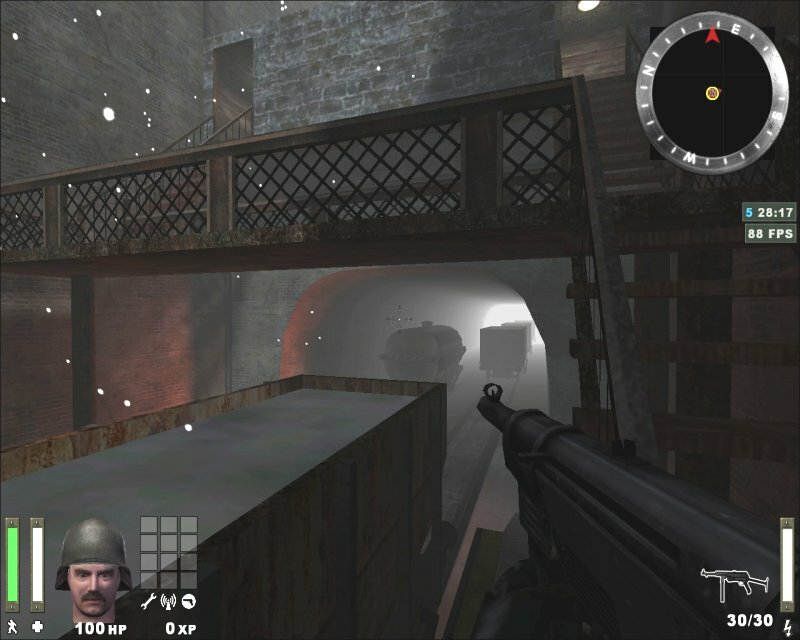 A few previous and fifteen screenshots about the upcoming new Wolfenstein. It's confirmed that "The "Veil" will be a part of the multiplayer. The Axis must destroy the two Oil Derricks and the Radar Station located in the city. The Allies must not let their key oil location get destroyed. Protect the two Oil Derricks and Radar tower at all costs. A Berlin street, 1945. 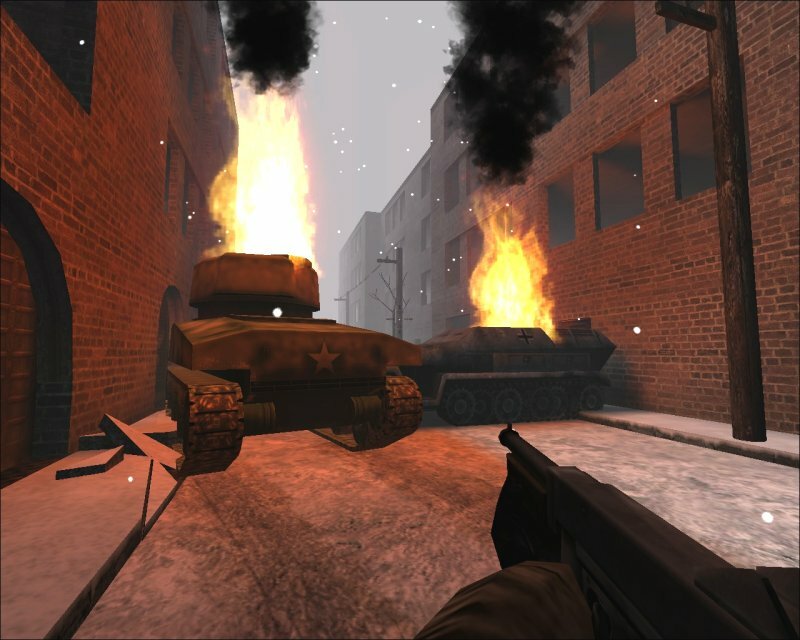 Allies have to capture the street in house-to-house combat. 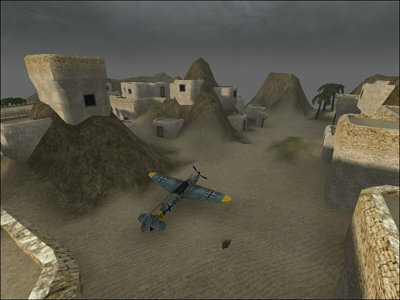 The first buildings to capture are marked by a red flare (which turns blue when Allies capture the flag and red on Axis recapture). Flags (which are always on the ground floor) must be held by the Allies for a total of 90 seconds to make the capture permanent. At that point the flare turns yellow, indicating that Allies must now eliminate all Axis defenders in the building to secure it. So long as at least one Axis defender remains alive in the building, it remains unsecured. When the flare turns yellow Axis have 20 seconds to re-occupy the building - after that time as soon as no Axis soldiers remain alive in the building it is secured. When the first buildings are secured the yellow flares are extinguished and red flares are lit outside the next buildings to be captured. In this way Allies progress up the street, trying to secure a total of 7 buildings to win. There are no dummy windows in the map, which means every window opening potentially conceals an enemy soldier: so advancing in the open street is a risky business. Allied cov ops will need to provide smoke cover and seek out enemy snipers to assist the advance of Allied troops. 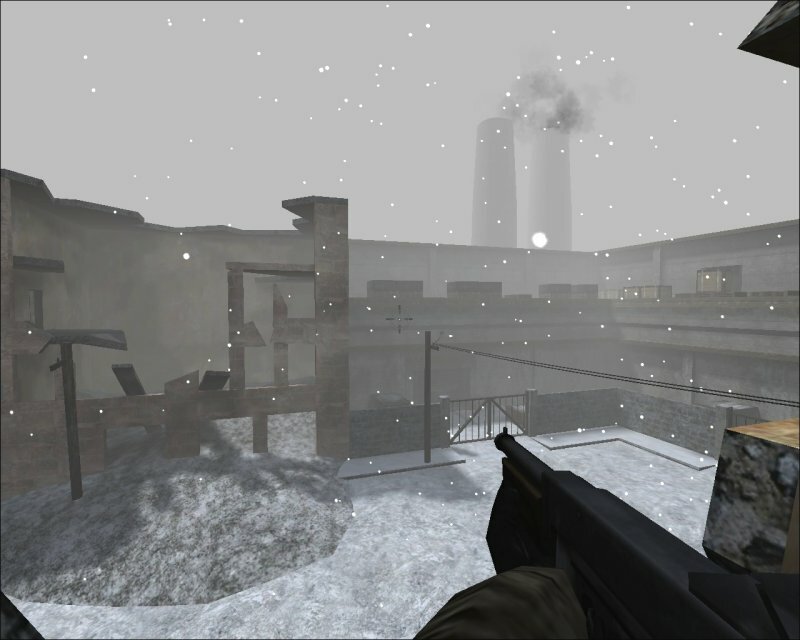 The flares are an important element in the game, and are produced using ET smoke generator entities. Some players will have disabled smoke, perhaps to help performance on low-spec machines or maybe to gain a small visual advantage, and so will not be able to see the flares. To see flare smoke you need to set cg_wolfparticles to 1 (on NQ you need cg_smokeparticles set to 1). The New Shaders mod, made by Dafama2K7, is designed to give you some serious eye-candy that will tweak this game to a whole new level! 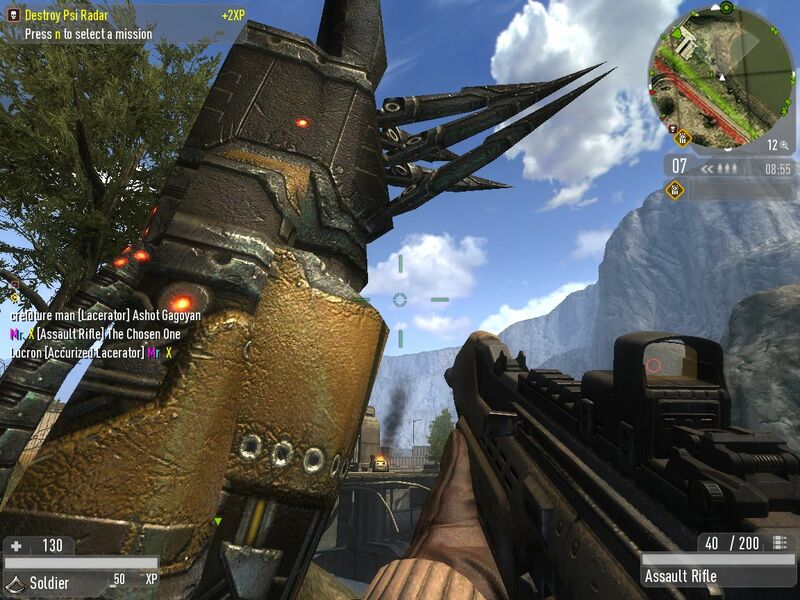 Copy the .pk4 file into the base folder of the ET:QW game, that's all. Sad news for gaming... FileFront, the largest filebase for many different games is closing on March 30, 2009. Read the original statement here. We would like to give a warm thank you to all of you who have been part of the FileFront communities we have built together. Your support has had a meaningful impact for all of us here at FileFront. Again, we want to give you a sincere �thank you� for your support over the years and wish you all the very best.